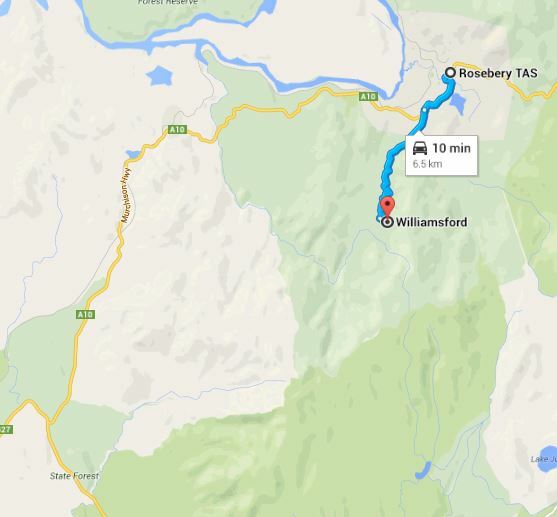 Address - Williamsford Carpark - From Rosebery travel 2 km south and then turn left onto Williamsford Rd. 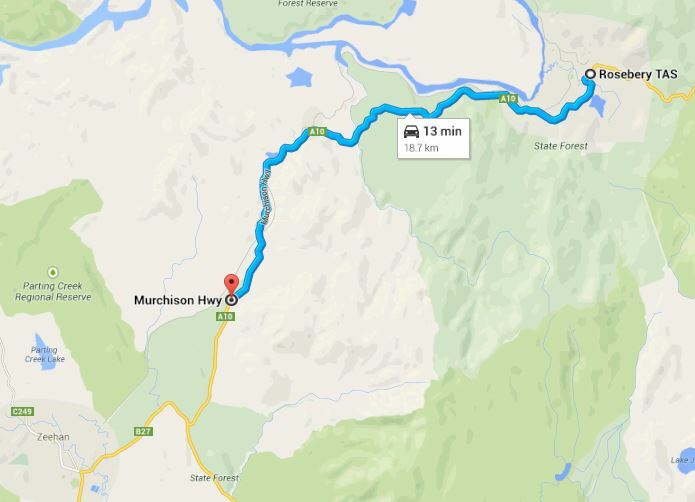 Travel a further 4.5 km to Williamsford Carpark. In Rosebery. 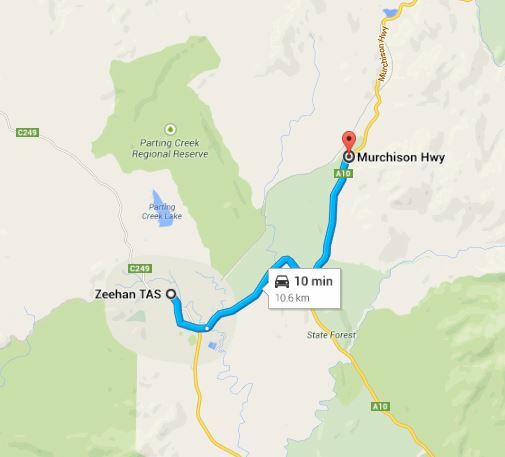 Bugger all in Zeehan apart from a supermarket, pubs and accommodation and a cool museum! More trail notes & info at this link.